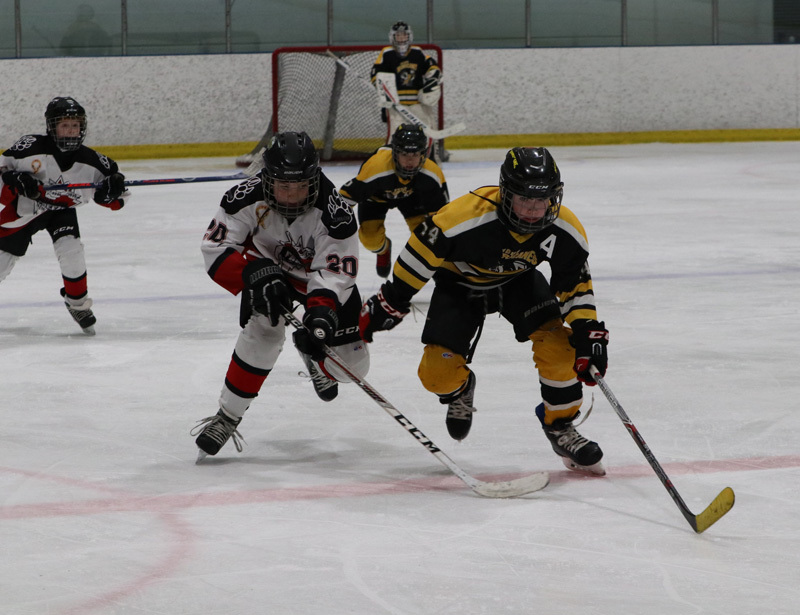 The Indus Hurricanes were given the opportunity to participate in the Hockey Alberta Atom AA Minor Provincial Championships from March 15 until March 17 in Calgary. Throughout the weekend long tournament, the Indus Hurricanes lost two out of three games, which prevented them from playing in the final day of the tournament. “All the matches were close, and within a couple of goals which was excellent,” said Indus Hurricanes Team Manager Becky Lapohn. “We knew after game two that we didn’t have a chance to make it to the final day of games. The kids were disappointed, especially since they gave it their all,” Lapohn said. 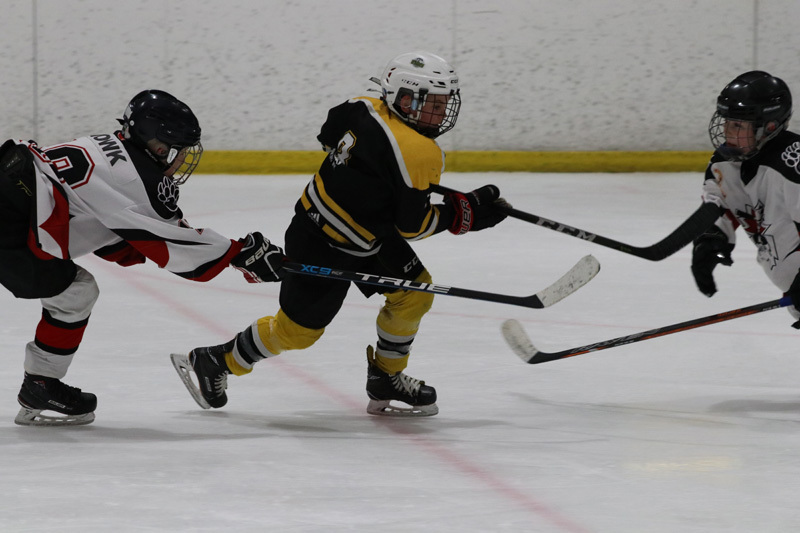 Although the young athletes were disappointed in not progressing to the finals, the team still gave it their best and pulled off an 8-2 win for their last game of the tournament. During the three games, the Indus Hurricanes had to overcome many challenges including playing against teams that were much more physical. “We overcame that with team spirit, with playing together as a group, supporting each other, and with the strong coaching we have,” Lapohn said. “The games were close, the boys fought hard, they played strong and made everyone proud,” Lapohn said. She added, being close to home helped the team of nine to 11-year-old athletes. “There were a lot of friends, families, and teachers that came out to cheer the kids on, parents put on team jerseys, and we had bells with the team logo. “Win or lose we support our team and cheer them on, and that absolutely keeps them going,” she said. Currently, the Indus Hurricanes are preparing to play in the season playoffs for the league banner. “The kids represented well, they kept the games close, and now the focus is winning the banner for our league,” Lapohn said. “The team is focusing on playing as a team, scoring some goals, passing the puck, and doing their best,” she added. The Indus Hurricanes are planning on pulling together and taking all the lessons they learnt throughout the season, such as playing as a team, passing the puck, cheering each other on, and keeping a strong morale, to play their hardest. Despite not progressing as far as the team had hoped, getting to play in the tournament was an amazing experience for the athletes. “The weekend was amazing, the kids were treated and made to feel very important. They absolutely loved it, the parents, the coaches, everyone thought it was a great experience,” Lapohn said. Not all associations support their teams going to provincial championships, Lapohn said. “It was awesome that the Indus Minor Hockey Association supports this, so the kids are able to go to that level of hockey. “It was an excellent opportunity, and a great place to meet other teams, and other coaches, it was really fantastic,” she added.